So when I went to the asian supermarket I went a little crazy and bought a lot of tasty goodies to cook with and will soon be future blog post. Among them were these beautiful leeks that I just had to get. Normally, I do not buy leeks, I do however love my onions and these just seemed too good to pass up. 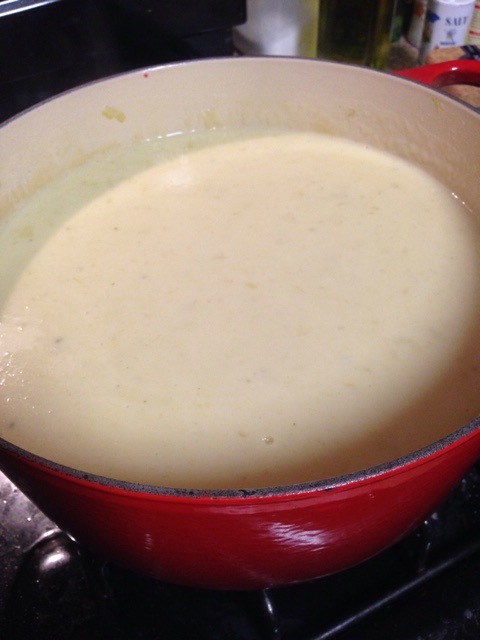 I just had to make Leek Soup that was in my Julia Child cookbook after pouring through cookbooks for blog inspiration. This soup can be served either cold or warm. the night I made it I served it warm with fresh homemade bread. The next day I had for lunch and tried it cold. 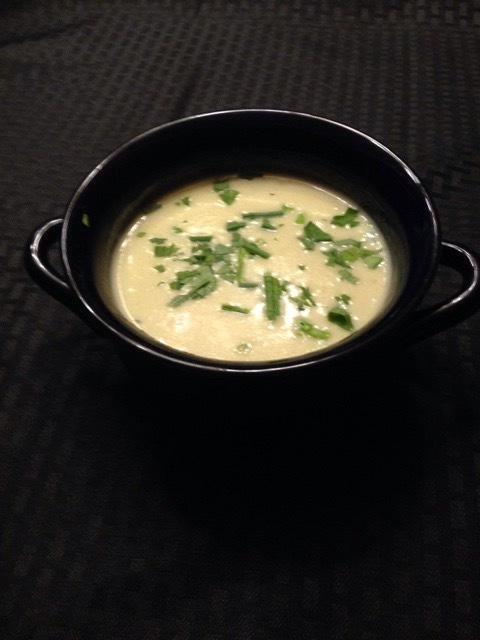 this is a simple soup and not complex in flavor. For those who like easy, this is for you. Bon Appetit! Melt butter in a large saucepan over medium heat. 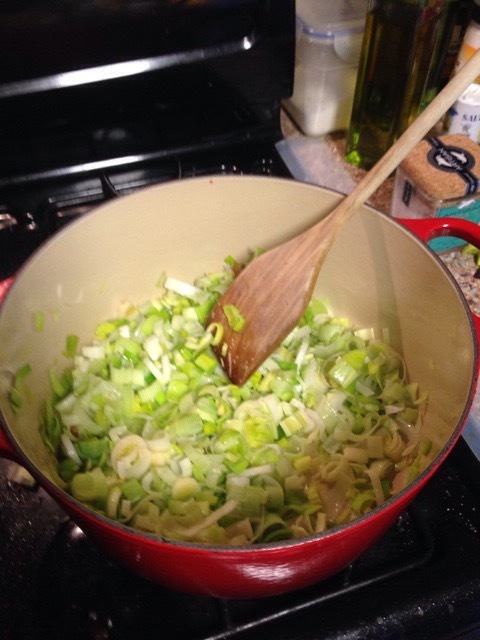 When the foaming subsides, add leeks, season with freshly ground black pepper, and cook until leeks are softened, about 5 minutes. Add potatoes, salt, and thyme and cook until fragrant, about 2 minutes. Increase heat to high, add vegetable broth and water and bring just to a boil. Reduce heat to low and simmer until potatoes are fork tender, about 10 minutes. Blend soup in a blender in 2 batches until smooth. Return soup to the saucepan over medium heat, stir in cream, season with additional pepper as needed, and cook until heated through, about 3 minutes.